The last couple of times we’ve been to the supermarket, we’ve noticed someone has thrown a pack of pork products into the halal section chiller. C’mon people; that kind of behaviour comes free with stupid. Just ‘cos you’ve got bacon breath doesn’t mean you have to force it on everyone else. 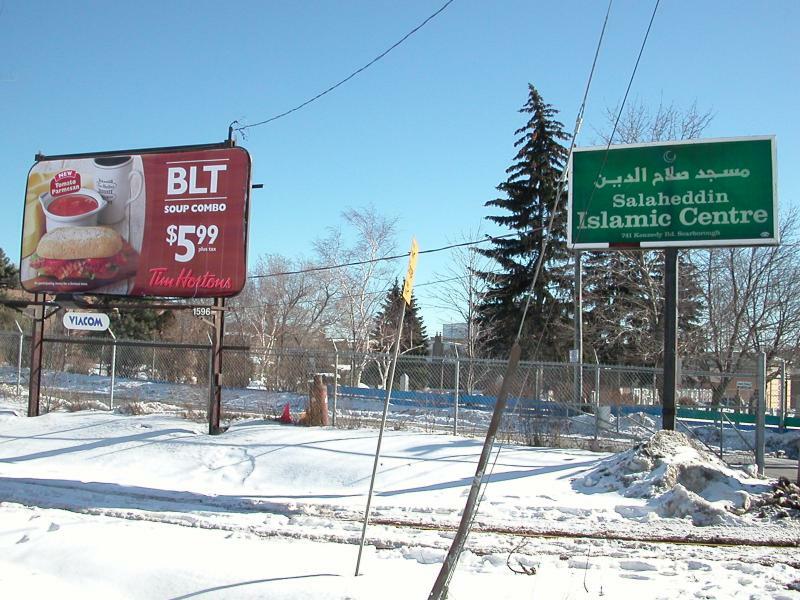 We’re neighbours with an Islamic centre. It has a Viacom billboard outside it. 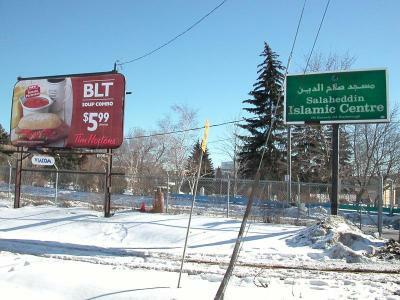 This week, it’s advertising Tim Hortons BLT — that’s a bacon sarnie, in other words. I’m guessing that this is just a wee bit haram.